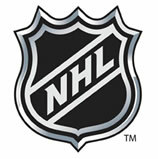 The letters NHL are widely understood to stand for the National Hockey League. I’ve gone through many a long year blithely using the term, never bothering to understand what the words meant. Well, I’ve done a little digging lately, and what I’ve learned may surprise you. The first word – “National” – is actually an acronym (who knew?) for Not Amenable To Including Options Not Anti-Labor. The third word – “League” – is generally understood as a reference to being “in league” with dark forces of some sort. It’s that second word – “Hockey” – that tells the most interesting story. In the context of the acronym “NHL”, the word Hockey is subject to various interpretations, all of which may contain a shred of truth. The most plausible theory is that it is a combination of the words “hocked” and “hokey”, but that may be too Anglo-centric of a viewpoint, ignoring hockey’s international and ancient origins. As a part of the complex phrase described above (NHL), the word Hockey may derive from the German word hoch, meaning tall, describing the apparent height of someone standing on skates. It may also derive from the Finnish word hakea, meaning “to fetch”, referring to the handsome prices the top franchises fetch when they come on the market. Alternately, it may derive from the Japanese word hoshi, meaning star, as a reminder that the game’s stars drive a lot of fan interest, though that interpretation appears lost on the current franchise owners. The jury is still out on the definitive etymology of “NHL”, but it’s clear that the final answer will require extensive cross-disciplinary study and collaboration. Still, it appears we will have plenty of time to research the matter in the months to come, without any actual NHL games to distract us, so there may be more arcane revelations to come.